Is Your Valentine Chocolate A Health Food?! If an apple a day can keep the doctor away, can we actually benefit from our Valentine chocolate? YES! 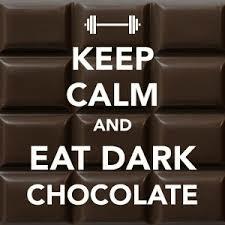 The real health benefits of chocolate come from its antioxidant flavonoids. Chocolate's made from the cacao plant that is particularly rich in flavanols, a type of flavonoid phytochemical. Those flavanols contain antioxidants, found mostly in plants, that can protect the body from environmental toxins that can damage cells and may play a role in heart disease, cancer and other diseases. In addition, simply enjoying the tempting treat can provide a boost of healthy endorphins to your body. Q. So are all chocolates good for me? A. NOT ALL CHOCOLATE IS CREATED EQUALLY! Added fats can make healthy chocolate unhealthy. The more nonfat cocoa in your chocolate treat, the higher its antioxidant levels and the healthier it is. So avoid chocolates with high contents of milk fat, partially hydrogenated vegetable oil, coconut oil or palm oil and opt for those with "cocoa butter." For baking, choose natural cocoa powder (not Dutch coca that's alkalized) or select unsweetened baking chocolate to add to your favorite recipes. Q. Is it OK to enjoy some chocolate while taking my HybridCR for cold or flu-like symptoms? A. Absolutely! HybridCR is an all-natural, immune boosting supplement made right here in the USA that revs up the immune system. So there's no negative interactions when taking HybridCR. Q. Will chocolate help me recover sooner from my cold or flu? A. Clinically speaking, no. But enjoying a little chocolate and sticking to your dosage schedule on the HybridCR pack, will provide excellent immune support and make it a little more enjoyable!